Alcohol and illegal drugs such as cocaine aren’t the only substances that can impair driving or lead to a DUI arrest. In fact, as the population ages and the number of available pharmaceutical drugs expands, DWI cases related to legal, over-the-counter and prescription drugs are increasing. In a July 2009 report, the National Highway Traffic Safety Administration (NHTSA) found that while drunk driving has decreased in recent decades, approximately 16 percent of all nighttime drivers have consumed some kind of potentially intoxicating drug. The NHTSA’s list of potentially intoxicating drugs in this study included not only illegal substances but also prescription and over-the-counter products including stimulants, sedatives, analgesics, and antidepressants. In all fifty states, a driver impaired by legal drugs can be found guilty and punished for DWI in the same way as any drunk driver. 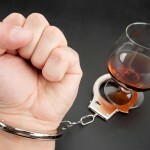 In California, the law specifically states that “The fact that any person charged with [a DWI ] . . . is, or has been entitled to use, the drug under the laws of this state shall not constitute a defense.” Standards for “how much” of a particular drug can consumed without impairment are controversial. 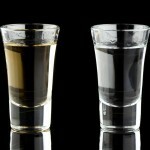 There’s no standard for other drugs such as the 0.08 percent maximum blood alcohol content (BAC) level set for alcohol. 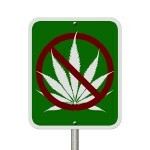 Until such standards can be established, a driver’s behavior – such as weaving, recklessness, failure to observe street signs, or slowed reactions – combined with evidence that the driver had consumed a legal or illegal drug known to cause intoxication – will continue to lead to DUI arrests and charges. If you are arrested and charged with a drug-related DUI in California, now or in the future, speak to an experienced California DUI defense attorney right away. A DWI charge threatens your freedom, your driving privilege, and your future. A good DUI defense lawyer will evaluate your situation, defend your rights, and aggressively fight for the best possible resolution to your case. Protect your rights and get the legal help you need; contact an experienced DWI defense attorney promptly.